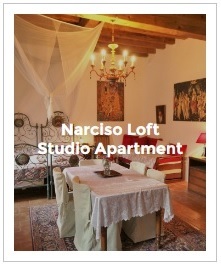 7 studio apartments, three on the ground floor, two on the first floor, and two attics. 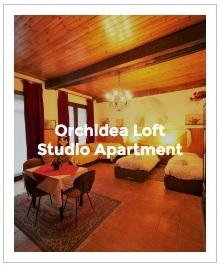 Those on the ground floor are the Mimosa, Narciso, and Orchidea. The last two are adjacent to each other and can be used together. 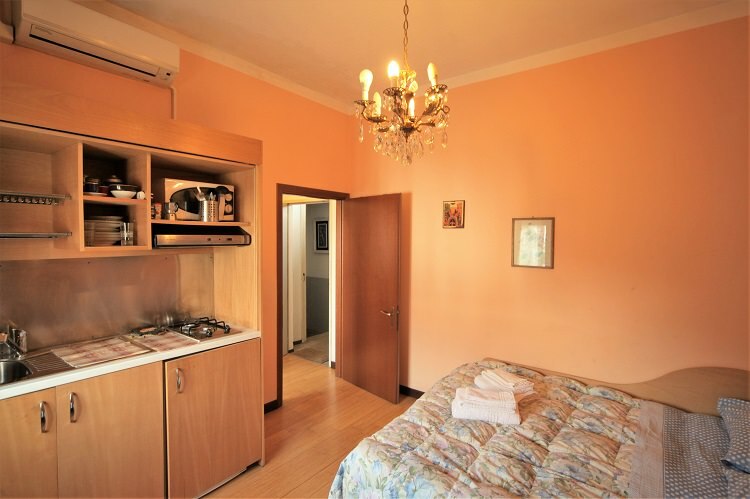 Narciso, Mimosa, and Orchidea are suitable for couples or three people who want to share the same bedroom area, with a saving on the cost of the room only accommodation. 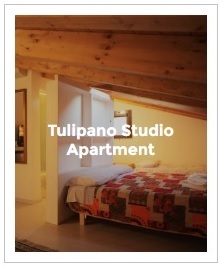 Narciso and Tulipano have two beds that can be joined together to form a double bed and two single beds (also usable as a sofa), Orchidea has two beds that can be joined together to form a double bed, and also a sofa bed. 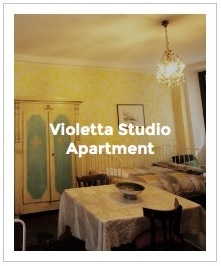 These are, therefore, the ideal solution for families with young children who want to all stay in one room. 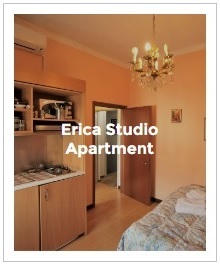 Erica and Uncarina are ideal for one person or a couple. 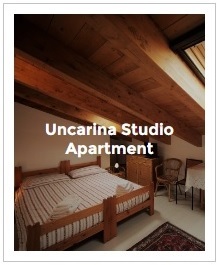 Tulipano and Uncarina are typical attic rooms and can be interconnected with each other. 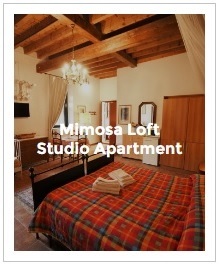 Thanks to direct booking on our website, we can guarantee the best applicable daily rate. Furthermore, through direct bookings (or by writing an e-mail or phoning us), we can more adequately take into account your special requests.